The Texas Method: Can it Boost Your PB’s? 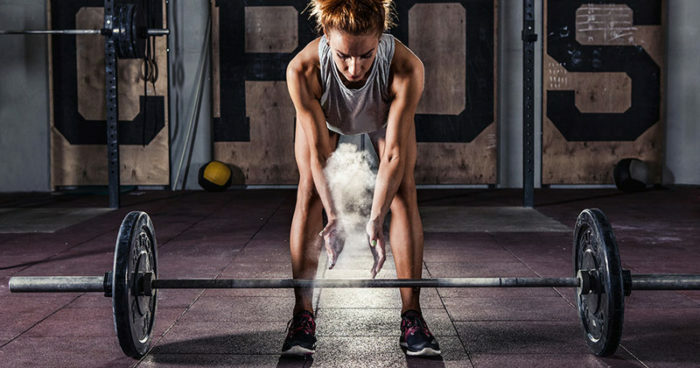 Home » Training » Strength Training » The Texas Method: Can it Boost Your PB’s? Looking to bring more power to your big lifts? We have just the program for you. We look at the Texas method and discover how it can seriously boost your strength as an intermediate lifter. If strength is your gig and you feel like you’re struggling to find an effective training program as an intermediate lifter, call off the search! The Texas Method might be perfect for you, girl. Named after the Lone Star State, this training method is almost crazily simple, but gets some incredible strength results on a weekly basis. We’re talking constant muscle gains. Disclaimer time, if you’re looking for size, you’re in the wrong place. The Texas Method is about creating pure, unadulterated, bar-bending strength. It focuses around Power and Olympic movements to constantly push your body into new realms of strength. Not sure about Olympic movements? Don’t worry, we’ll come to how you can adapt this program to suit you later. Delve in and find out how the Texas Method can help accelerate your strength progress. What is the Texas Method? Where did the Texas Method come from? The Texas Method program is an effective form of strength training, designed to help intermediate weight lifters achieve new levels of strength. It’s been wildly popular over the internet and used across the world for strength athletes, looking to add an edge to their lifts. This surge in popularity is mostly due to the method’s incredible results. It’s simply one of the most effective programs out there for helping beginner intermediate weight lifters take their strength to the next level. If you’re looking for size and shape over strength, check out our girls guide to muscle hypertrophy and start crafting your physique today. As legend has it, the Texas Method is the brain child of famed strength coach Glenn Pendlay. You may recognize him as the creator of the Pendlay Row too – the guy knows his stuff. If he didn’t come up with the concept for the Texas Method, he’s certainly the person who made the program famous over the last few years. Apparently, an intermediate powerlifter was complaining about his three weekly sessions of 5×5 lifts, claiming it took too long. Pendlay replied telling the lifter that, if he could complete a new five rep max, he’d only have to do one set. And thus, the Texas Method was born. Rather than a 5×5 session three times a week, it’s now one 5×5 volume, one recovery training session and one five rep PR. From there, it became hugely successful amongst intermediate lifters, due to its simplicity and incredible strength gains. Once it got on the internet, lifters across the world adopted the training pattern and today it’s one of the most popular intermediate programs available. The Texas Method is based around three very different types of training session. To allow time for recovery, they’re split up over three days using a very clear pattern. For you to get the most out of each session, we recommend sticking to the program and hitting the gym on Mondays, Wednesdays and Fridays. Your Monday workout is based on volume as a stimulus to grow muscle. This session uses the classic 5×5 formation, hitting squat, bench and a pull movement in the form of a power clean. On Monday, your weight will be around 80-90% of the weight you lifted on the Friday. By using a percentage system, it keeps the program challenging and the load creeping upwards week-on-week. The Wednesday is considered the ‘recovery’ day. You’re still working your muscles to avoid detraining, but the lower set count allows more time to recover from your workout on Monday, ready for the big lifts on Friday. The weights are also significantly lighter, so you’re still stimulating your body, but not in an overly aggressive way that could compromise your PR. The last session of the week is reserved for intensity. At this point you should be recovered enough from your workout on Monday to hit a new 5 rep PR for one set. Now don’t go crazy adding 10 or 15 pounds to the bar. The program asks that every Friday you add another five pounds to the weight you lifted the previous week to keep progress moving forward. This format not only means you’ll be lifting heavy, ideal for growing strength, but you’ll avoid fatigue too. There’s enough recovery time worked into the program to bypass overtraining, so you can use this method in the long term. Now, no training program is set in stone, so before we delve further into the detail it’s worth noting that this is just a blueprint – not everything is final. The powerlifters among you might have noted that there’s only one set of deadlifts in the mix. You’ll also notice the power cleans on the Monday. This is because, at the time of creation, Pendlay was working mostly with Olympic lifters and the strengthening up the deadlift wasn’t a priority. According to the minds behind the program, the deadlift also takes too long to recover from, and therefore shouldn’t be trained in volume. You may disagree and that’s down to you, girl – you might be able to handle it. As long as you stick to the bare bones rep-set and weight progression of this program, you should still reap the rewards. How much should you be lifting? 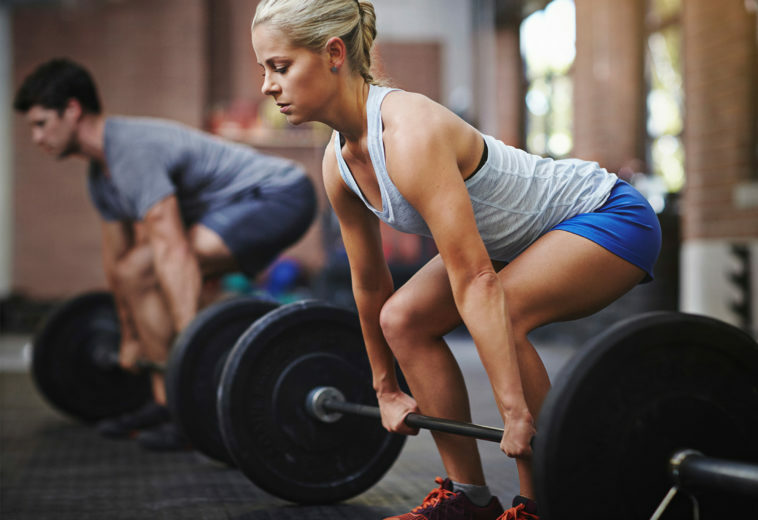 Find out with this guide to how much weight a woman should be able to lift. The key to improving strength is constant stimulus and weight progression. The Texas Method uses a very simple, yet effective approach. Every Friday you simply add five pounds to your PR. As this is a percentage-based program, this will slightly boost the weight you use on the Monday and Wednesday to ensure consistent progressive overload. This program is almost laughably simple, yet the results speak volumes. That simplicity is reflected in the approach to periodization – there is none. Where you might normally see a hypertrophy phase, a strength phase, or even varying volume, the Texas Method just continues in the same way, with increased load every week. It can do this because it covers all the big lifts, controls fatigue very effectively and consistently improves strength on a weekly basis. It doesn’t need periodization. The Texas Method uses progressive overload in its most basic form. As we know, progressive overload is the principle of forcing the body adapt to handle any strain it has previously experienced. So, by putting it under pressure by lifting heavy weights, you’ll grow the muscle and strength to handle it. This form of programing is constantly challenging the body by adding weight every week, then training at a new, higher load based on the PR. Given that this program is for intermediate lifters, a five-pound progression every week is enough to make a difference. One of the biggest benefits of this method of training is that you won’t fatigue easily. Because there’s a recovery session factored in, you should be able to continue this form of working without cycling into a rest phase. Worried you might be overtraining? Check out our complete guide to spotting the symptoms, and finding a solution. So far, we’ve seen plenty of positive elements of the Texas Method for growing strength. This makes it the perfect option for powerlifters. It’s very simple yet very effective, you don’t need to think about planning in phases, it’s that straight forward. The Texas Method is also sustainable. That means you can keep it going, keep making gains and you shouldn’t feel overly fatigued. Sounds great right? Well, as with any training method, Texas comes with a few cons. 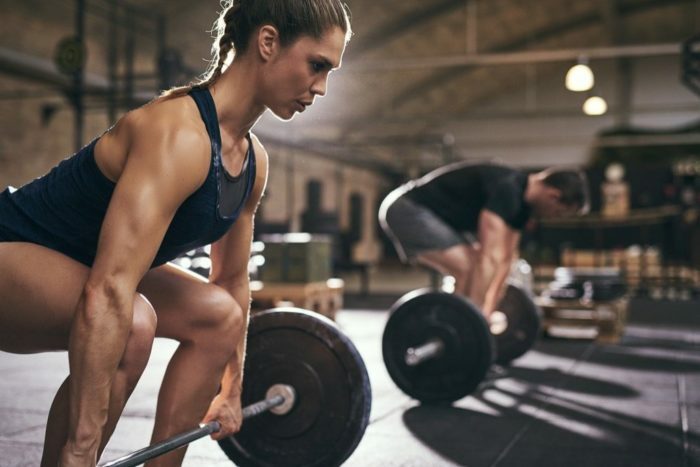 As a strength training plan, it’s not ideal for powerlifters because the program contains Olympic lifting elements rather than focusing in on the deadlift. In fact, the ratio of squats to deadlift is 8:1. With that in mind, you can see how much bigger your squat will be compared to the deadlift. If you’re heading to a comp, that kind of training won’t be specific enough to give a powerlifter a big performance in all three lifts. Having said that, the situation is easily remedied. On the Monday, simply swap out the power cleans for a deadlift movement. Whether that’s a stiff leg, a deficit or even a full deadlift, it’s up to your and your training goals. Just don’t do 5×5 on your volume day, as they are hard to recover from. Instead stick to 2-3 sets, or lower if you’re feeling the strain. The Texas Method might not be completely perfect for a powerlifter, but it provides an excellent template you can use to build incredible strength as an intermediate lifter. As you progress to become more advanced, you may find your performance begins to plateau. This can be due to a number of things, but overall this type of training will eventually need to progress to challenge you as a stronger, more advanced lifter. The Texas Method for strength training is about as good as you can get for an intermediate lifter. Fair enough, it isn’t completely perfect, but with a few small tweaks, it’s a fantastic blueprint for a program. If you’re a powerlifter, work in more deadlift or similar movements and you should be primed for unprecedented strength in your big three. This training method is simple, it won’t leave you feeling exhausted and it’s perfect for the long term. On top of all that, the constant progression will give you some amazing strength gains on a weekly basis. Perfect if you’re looking to head to your first comp. What are you waiting for girl?! Give the Texas Method a go and see the results for yourself.